Christmas in July. The Nordstrom Anniversary Sale is literally just that. This sale happens one time a year, and it’s always in July. I’ve rounded up the top 5 things you need to know about it. Read on so you’re ready to shop! The Nordstrom Card is KEY for early access! Only Nordstrom card holders will be able to shop during this early access period. Apply for a card today so you can get first dibs on all the great deals! Anyone can view the sale during this time, card or no card, you just wont be able to buy anything at the sale price without a Nordstrom credit card. The sale opens to the public at this time, and everyone can purchase from the sale regardless if you have a Nordstrom card or not! Be sure to shop right away because popular items will sell out (if they haven’t already during the Early Access period). Have no fear though, they usually do restock popular items prior to the public event starting. What are the benefits of being a Nordstrom Cardholder? What items are included in the Nordstrom Anniversary Sale? Mostly fall and winter pieces. 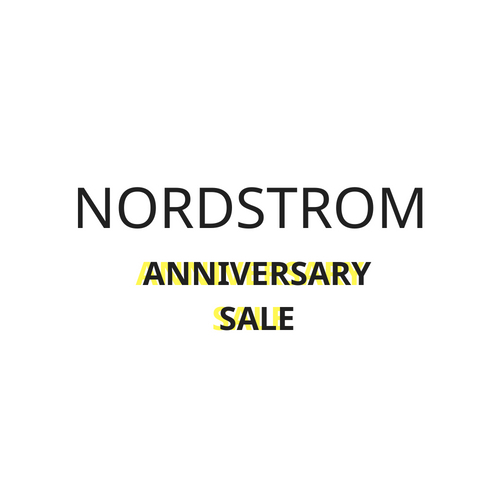 Prior to the anniversary sale, Nordstrom will send out a catalog which will highlight many of the things that will be included so keep an eye on your snail mail! What pieces should you plan to purchase during the Nordstrom Anniversary Sale? This is a great time to purchase higher priced items because they will be sold at the lowest prices of the season. It’s the perfect time to buy things like that killer pair of boots or a great moto jacket. Last year I grabbed my Sperry Duck Boots (similar) and they were about 25% off. Bras are also on sale so I usually stock up on some during this time. If you need a new bag for the fall/winter months this will be another area to scope out. I remember last year there was a great deal on a classic looking Madewell tote. How should you shop the Nordstrom Anniversary sale? 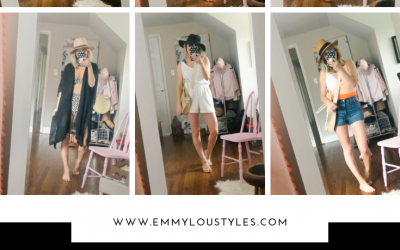 The best way to shop the Nordstrom Anniversary Sale is to visit Emmy Lou Styles of course! I will have an entire tab/section right here with links to all of the key items that are in the sale. Basically, what I’m telling you is, I will be up at MIDNIGHT on 7/12 browsing the Nordstrom site and linking to items for you so you don’t have to do the digging. With that being said, it takes a lot of time and effort for me to browse and link everything on my site but it’s something I truly enjoy doing (I’d probably be up shopping then anyways even if I wasn’t a blogger). If you do plan to purchase something during the Anniversary Sale, I would love it if you shopped from my links. Even if you don’t purchase the exact items that I post, as long as you click thru my links and purchase from a link that I’ve posted, then I will receive a small commission from your sale. You can also click thru my links and buy online then pick up in store! What are you hoping to snag during the Nordstrom Anniversary Sale?! Tell me in the comments below. Click here to see my most recent Nordstrom try on session! I am needing an update on my fall/winter clothes so I’m excited to see what they have!! Better adjust my budget for July! Haha – yes get that budget in order! Girl I cannot wait for the sale! I am planning to load up on boots ! I would love for you to find great simple accessories! I can’t wait to find some boots too! I’ll keep an eye out for you!